The Bible is our only unchanging, tangible lifeline to our faith. Its words are the truest, and most transferable expression of God. People don’t read the Bible because they don’t like it. But… People don’t like the Bible because they don’t read it. Are you encouraged to bring your Bible to church? Expository pastors are content to feed spoonful at a time. Thematic-preaching pastors enjoy bringing a topical flavor-of-the-month. Both have a place, but shouldn’t we be encouraged (and expected) to do some self-feeding at home? College professors expect their students to read the textbook outside of class. But many pastors don’t expect the same of their flocks. In a growing number of churches, vision has replaced discipleship. The A-B-C’s (Attendance, Baptisms, Cash) are measurable… spiritual growth (and Bible literacy) is difficult to assess. 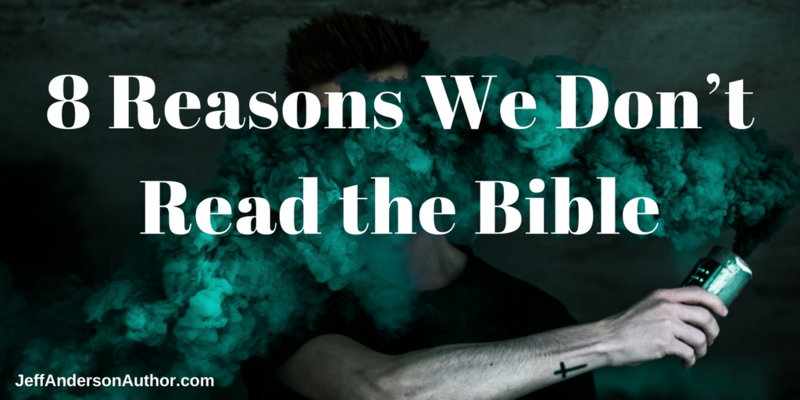 We can google a Bible verse, or blog about a verse, any time we want. So why read what’s around it? For some, even thinking about that leather-bound book triggers memories of personal failure. And who wants to be reminded of that?! If you’ve ever tried a 365-day read, you know what I’m talking about. Sounds like something Martin Luther railed against 500 years ago! (This year is the 500th anniversary of the beginning of the reformation, by the way.) He went on to translate a version of the Bible in their language so more people could read it. Like others before and after, he was persecuted for giving such a “lofty” book to lowly people. Today, some bestselling authors make followers believe that without the benefit of their education and knowledge of “historical context” they can’t possibly understand the Bible accurately. And often Bible teachers will explain how the Greek or Hebrew word means something different than what we’ve always believed it to say about a particular passage. Okay, Paul didn’t predict you wouldn’t read it. But he predicted many would find more entertaining alternatives. Moses instructed families to teach the law to their families every day. But he knew that everyone needs a fresh restart now and then. That’s why he instructed the Israelites to read the entire book of the law to the entire congregation every seven years. Joshua triggered a restart reading as soon as they crossed the Jordan River (Joshua 8). King Josiah ordered a restart when the dust-covered book of the law was discovered in the temple (2 Kings 22). Ezra and Nehemiah instituted some restart reading sessions when they rebuilt the temple and the walls (Nehemiah 8). We all need faith restarts – fresh opportunities to recharge our faith batteries. But with a few twists and some guidance. Power-reading through the entire Bible in 60 days is possible, rewarding, and surprising. This is not Bible study, it’s Bible reading. Did you know you can read the entire Bible in 60 days, investing just one hour a day? An end-to-end reading will give you a surprisingly clear view of the big picture and your place in the story. We’ll be starting another 60-Day group soon – join my email list for details. Subscribe to my newsletter to hear about our next 60-Day Bible Reading Challenge!